- Production : 342 Cylinders per Day Production of 7 M3 Each Cylinder Capacity. Capacity: 40 to 1000 cu.m./hr. 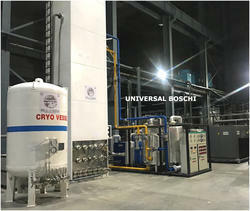 We are one of the leading organization engaged in providing excellent quality Cryogenic Oxygen Gas Plant, which are manufactured by using high grade material. These are widely appreciated by our clients which are situated all round the nation. 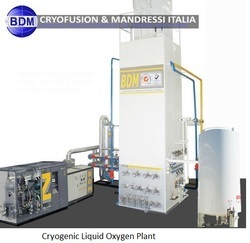 Our gas plant is equipped to generate most undiluted oxygen at much lower cost. Customers can easily avail this from the market at reasonable prices.